As you know, Mustika Ratu just launched their new product (I already blogged about it here) and I promised to review this Moor's Eyeliner Micromatic Pencil. Totally excited when I got this goodie bag. Inside it, there are Press Release Moor's Professional Makeup, 3 Micromatic eyeliners and document about Putri Indonesia Pariwisata 2015, Gresya Amanda. Slim and small. It's similar like other eyeliner pencil, but because it's micromatic, it's slimmer and light. Classic look, easy to carry. Easy to use, just apply it directly to line your eyes. If you prefer the bold result, you can apply it few times. 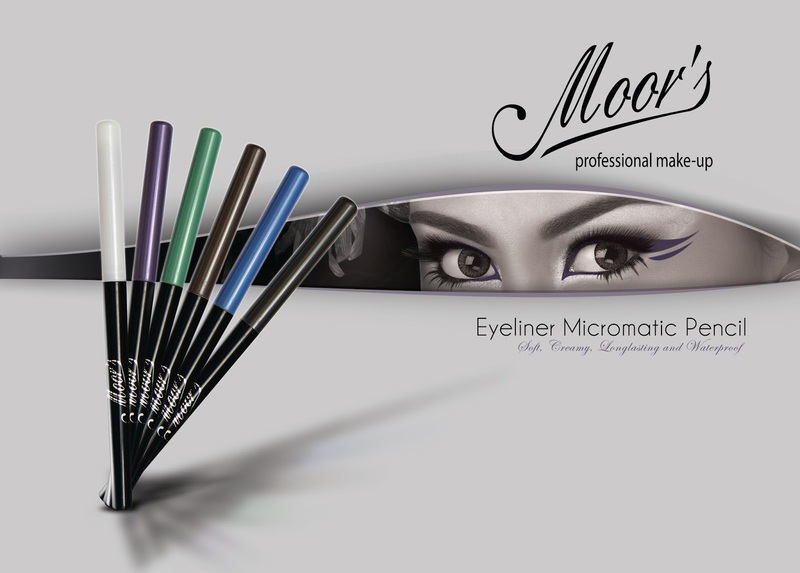 Moor's Eyeliner Micromatic Pencil has 6 pretty colours; white, green, purple, blue, brown and black. I only got this three, and of course I love the green one! I think the brown and the white is good too, the brown is darker than I thought, the white one is standard. The texture is creamy, and a bit delicate. You have to keep in cool place or else it will break. What do you think about this review? Do you like it? What's your favourite eyeliner colour?